We’re celebrating Black Friday and Cyber Monday all weekend long. 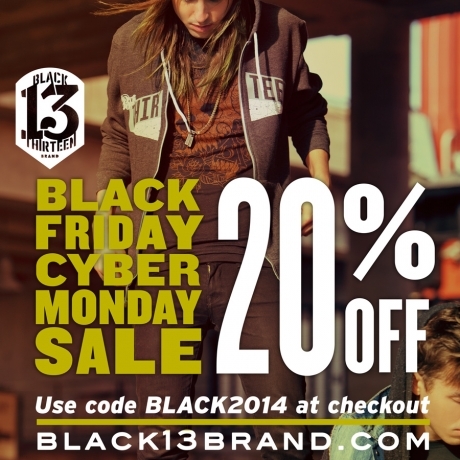 Starting Friday, enter code BLACK2014 at checkout for 20% off every item in the store (gift cards excluded). Visit www.black13brand.com to get your goods! Sale ends Monday at midnight!